What’s a Release Day Sales Giveaway Contest? 1.) In order to be entered, you must get your friends, your family members, your dry cleaner, the checkout girl at your local Walmart, ANYONE to buy a copy of The Key (ebook and/or paperback). 2.) Have said friends give you a screenshot of their order confirmation with the order number on it showing they purchased The Key on 11/15/13! The goal is to get as many of your friends, family members, associates, etc. 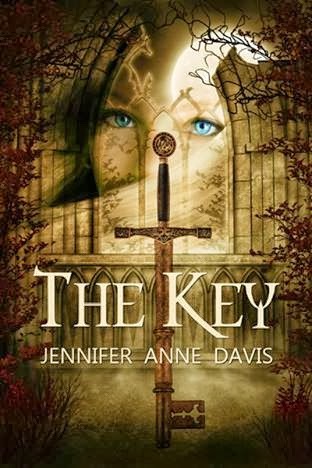 to purchase a copy of The Key on Friday NOVEMBER 15th, and get the proof of purchase to Jennifer no later than Monday November 18, 2013. Once your information has been verified, you will be entered into the contest. 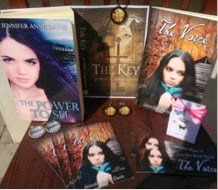 Grand Prize = the person who has the most sales = A signed paperback of The Voice, The Power to See, AND The Key. The winner will also receive some swag (book charm, bookmarks, necklace). 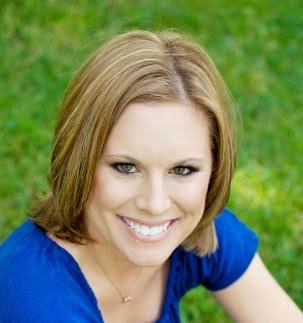 In addition, the grand prize winner will get a CAMEO in my next book!!! The grand prize winner must show proof that they purchased The Key. First Runner Up = the person who has the second most sales = A signed paperback of The Voice, The Power to See, and The Key. The First Runner Up must show proof that they purchased The Key. Second Runner Up = the person who has the third most sales = Your choice of The Voice, The Power to See, OR The Key. The Second Runner Up must show proof that they purchased The Key. So start spreading the word now, then remind everyone to make their purchase on Friday November 15th!!! Only purchases on Friday November 15, 2013 will be counted!! Here’s a picture of one of the swag packs!! !